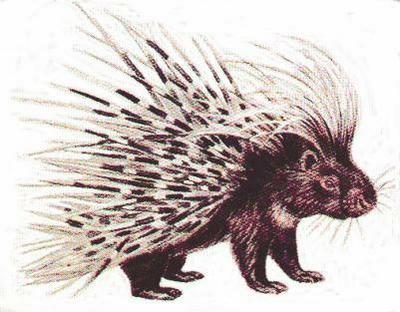 Did you ever have a day when you felt like a porcupine? Yesterday was a day like that for me. Every interaction I had with people my spikes were out ready to strike. I pouted around the house last night trying to be nice to my wife. I wanted so badly to let it go and be a fun guy. But, I was a porcupine last night. There is a great scene in the movie Spanglish where a woman finds that her own foolishness and sinful lifestyle has sabotaged her life. She is completely broken and helpless. Her mother is there with her and she tells her, “you cannot trust yourself right now.” Basically, she goes on to tell her daughter that any natural impulse you have right now is wrong. It is an amazing scene for Hollywood to portray: a person actually telling someone they love that they are a bad person and they have no one to blame but themselves. The writer director, James L. Brooks, was so close to the gospel in that scene that it completely blew my mind. Last night I felt that way. “I can’t trust a single thought in my brain or a single emotional impulse in my heart right now.” I felt my sin raging in my heart wanting to lash out. Now to him who is able to do immeasurably more than we ask or imagine, according to his power that is at work in us, to him be the glory in the church and in Christ Jesus through-out all generations, for ever and ever! Amen. He’ll do more than I ask or imagine. No wait…immeasurably more! The power of Christ Jesus is at work in me bringing HIM glory. Lord! Cut off these spikes! I don’t want to be a porcupine; turn me into a newt or a brown-throated three-toed sloth or something!